The retired testing pilot Xu said he tested J20's all directional vector thrust, with integrated flight control. He mentioned how different it is to drive J10. I am assuming he is talking about he tested the simulator, not the actual jet. It is a sign of things to come. Figaro and Deino like this. In what ways was it different? In the interview, he implied that WS-15 equipped J-20 will use 3D thrust vectoring capable of maneuverability. He also directly stated that many of the pilots who flew the J-20 (test pilot Li Gang and the performers at Zhuhai) are his colleagues and students and that he is very proud of them. perfume, cyan1320, Daniel707 and 1 other person like this. The way he described is like some high level fly-by-wire that the inputs from the pilot is no longer specifics but the intention, then the jet figure out the best way to achieve the goal then make adjustments on the control surfaces. Sounds just like F-35. perfume, manqiangrexue, cyan1320 and 1 other person like this. This isn't credible. How can the test pilot test a simulator for a plane that hasn't been built? Shouldn't the simulator require real test information, when no TVC-capable J-20 prototype has flown? Not necessarily. Before you even fly a test plane with TVC you need to integrate TVC into the FBW software. A simulator can use that code to simulate flying with TVC. It may not be precise, and at the end of the day you will have to adjust the FBW software as you test it in live flight, but it's still a valid simulation. The main takeaway here is that if they're writing FBW software with TVC integration for the J-20, that would suggest the J-20 is intended to have TVC. delft, perfume, siegecrossbow and 1 other person like this. Enough firepower to wipe out a regiment of 4th gen fighters. no_name, perfume, Deino and 2 others like this. 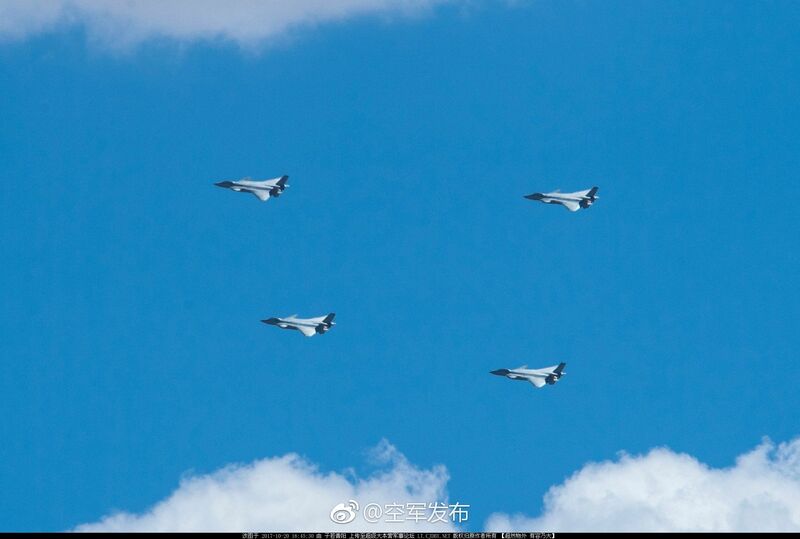 The four-ship usual tactical fighting formation in China Air Force ? 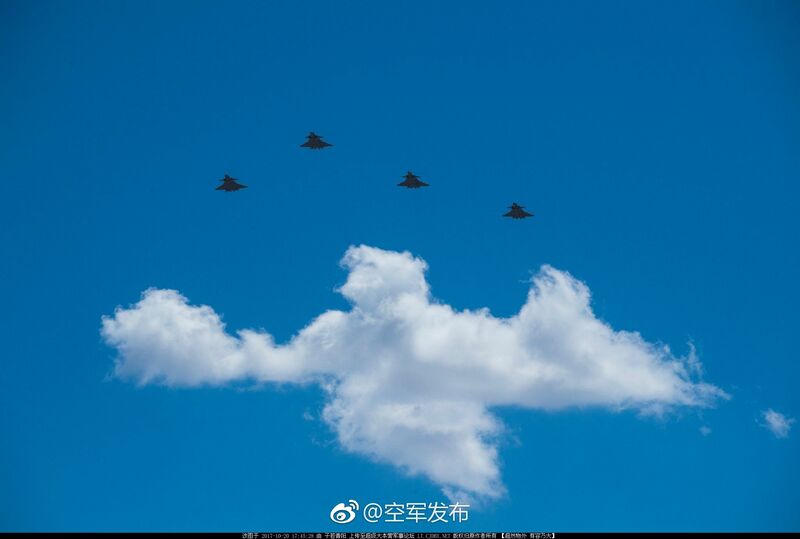 Four ship usual fighting formation in China Air Force ? Nope. Only for air show/parade. Fighter fighting formations are seldom so close together in combat situations. Again no serials... Apparently taken for the movie Sky Hunter. perfume, jobjed, FORBIN and 2 others like this.